I absolutely love Easter and we are all looking forward to it in Mum, That’s me household. There are plenty of reasons why we are looking forward to it. 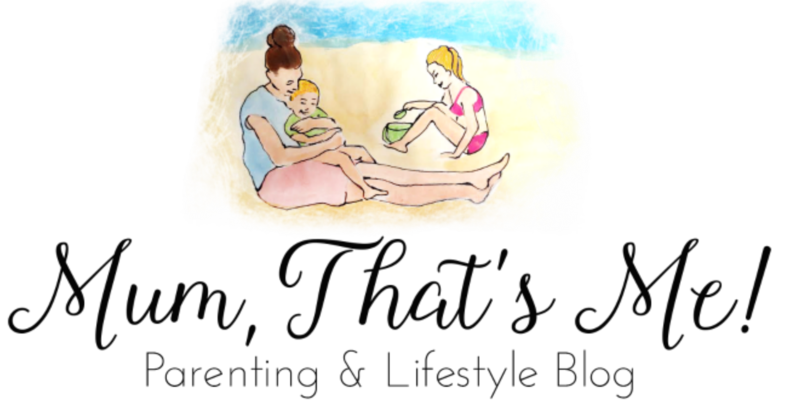 I love the time off we all have together.. We have two weeks off from the craziness of the school run and the fun of Easter Sunday to look forward too. Spring has sprung and the nights are getting lighter and the weather seems to be improving. I love all the Easter festivities, particularly a family Easter meal. However the amount of chocolate that comes into the house is excessive. Whilst I don’t mind them having an egg or to and a small Easter egg hunt, I like to look for a none chocolate alternative gift. 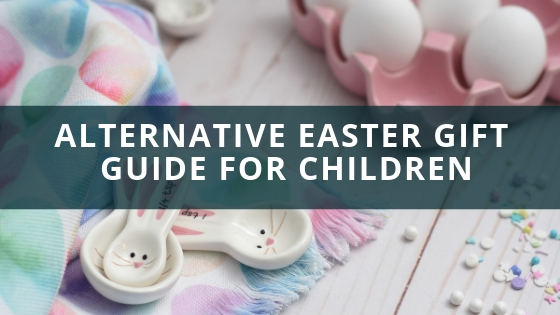 Here are a few great alternative Easter gifts that children will love. 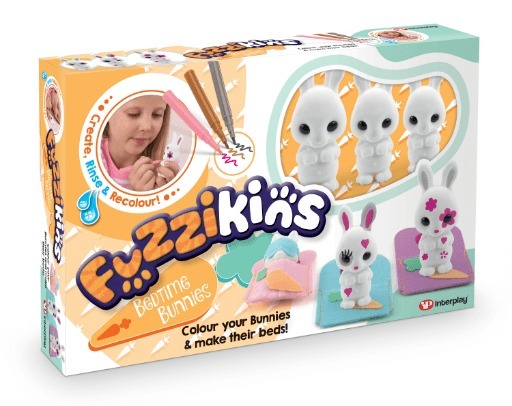 The Fuzzikins bedtime bunnys is a wonderful craft and play kit that is perfect for Easter. Fuzzikins Bedtime Bunnies contains one large, one medium and one small bunny figures Which my children have decided are mummy, daddy and baby bunny. There are 3 x washable felt pens, 3 x felt beds, felt accessories, assembly tool and full instructions. What I think is wonderful about this set is that the felt pens are washable therefore, you can clean the bunny’s and decorate them all over again. This really adds to the playability and creativity. The beds are easy to make, there other accessories to make too such as eye masks for when the bunnies sleep. The set is age 4 plus and is available on the Interplay website and other great retailers. When you unwrap the egg, the egg itself has three different sections, each with a little surprise. 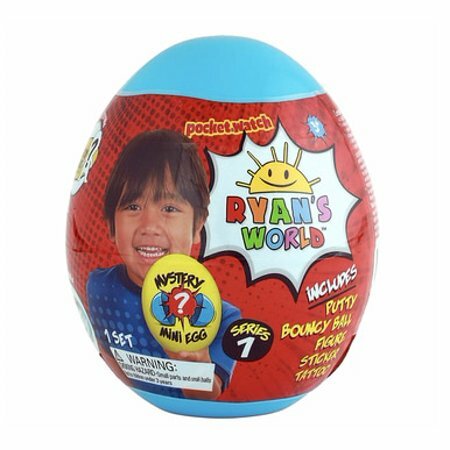 When we opened out egg, the top compartment has a pretty cool bouncy ball with Ryan on. In the middle compartment you get a surprise Ryan character. This is larger than I expected and there are different ones to collect. we have Ryan in a space outfit and the bottom compartment had a surprise pop of putty. Ours is bright green, very squishy and very popular. I prefer putty to slime as it isn’t as messy! A fantastic surprise egg that would make a great gift. The egg can be purchased from Amazon and a few other good retailers. I am a huge fan of these Playmobil Easter Eggs, we reviewed them recently. 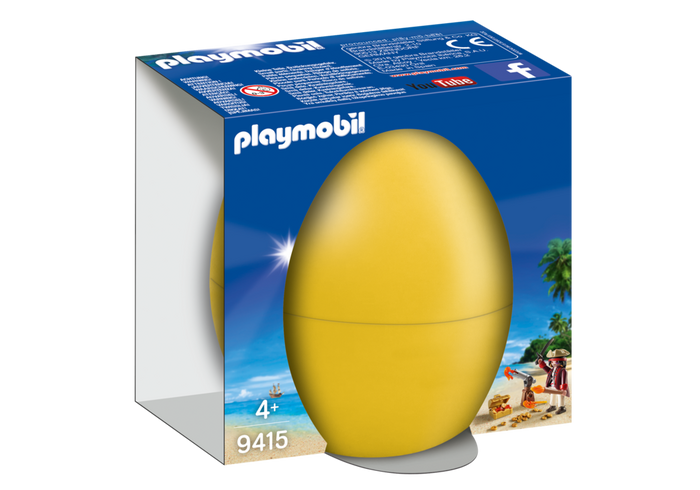 You can read our full Playmobil Easter Egg review here. Being egg-shaped and with a full playmobile set in, these eggs make the perfect Easter Gift. There are four different eggs that you can purchase. The children love the surprise of what they will find inside. They cost £4.99 which is very reasonable for what you get inside. The beauty of these sets is that can be played with alone with any other playmobile sets the children might already own. You can buy these from the Playmobil website and from other great retailers. I am very impressed with this personalised plush grey bunny. Giftpup sell a large selection of items that can be personalised. The the personalisation is on the ear of the bunny and you can only use up to 15 characters when personalising it. Which I think is plenty. With the bunny’s cute pink nose and its floppy ears this bunny is a great Easter Gift. 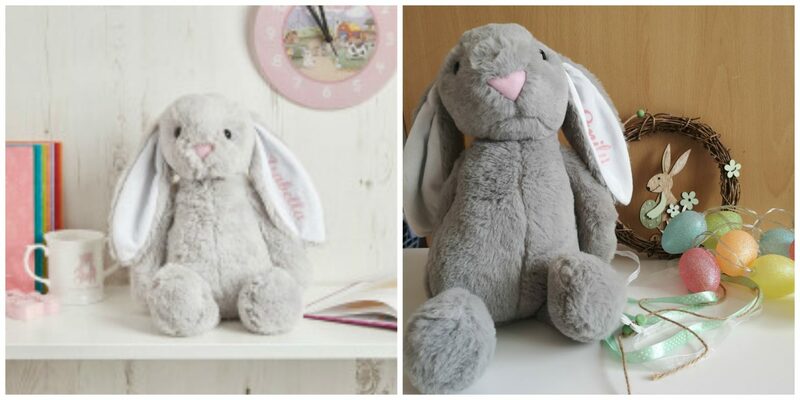 The very cuddy, super soft bunny is a perfect chocolate alternative gift for Easter. I would quite like one myself as it is that cuddly. The plush bunny is available to buy on the giftpup website. 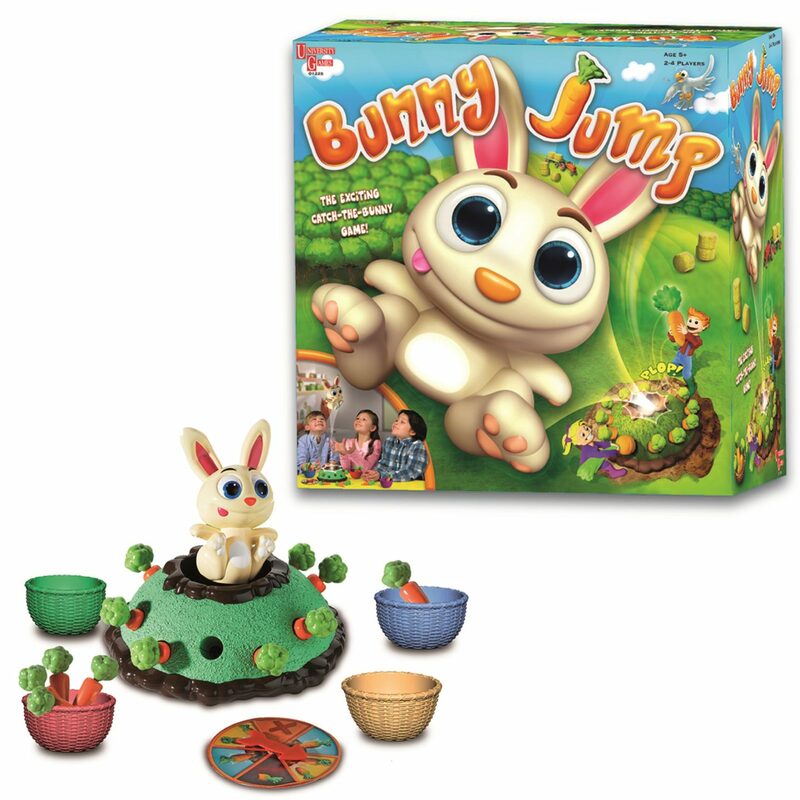 Bunny Jump is a fun game to play around Easter time which involves pulling carrots out of the Bunny’s burrow without frightening the Bunny. The aim of the game is pretty simple. You have to collect as many carrots as you can to win the game, you have to watch out because one of the carrots with make the bunny jump in the air and you have to be quick to try to catch it! The player with the most number of carrots inside their basket is the winner! This is a great game from age 5 upwards, however a younger child may be able to be played with supervision. The game can be can be purchased from Amazon and other great retailers. That is all for our Easter gift guide, I hope it has given you some great chocolate alternative gift ideas. There are so many eggs on the shelves that the children are eying up, I do however know they will also love a chocolate alternative gift.